Who you gonna call? Jason Reitman, that’s who. 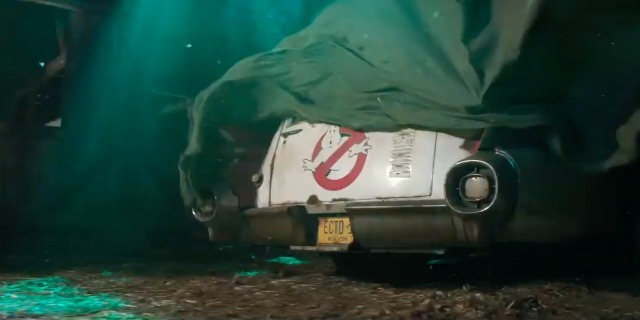 A new Ghostbusters film is coming in 2020 from the son of the 1984 comedy film’s director, Ivan Reitman. A teaser trailer was released on January 16 and the 41-year-old director himself tweeted a message: “Finally got the keys to the car. #GB20.” Watch the teaser trailer below. The original movie earned $295 million, making it the highest-grossing comedy at that time. That film, written by Dan Aykroyd and Harold Ramis, starred the pair, along with Bill Murray and Ernie Hudson, as parapsychologists who start a ghost-catching business. Sigourney Weaver and Rick Moranis were among its co-stars. It’s not known yet which, if any, of these stars will appear in the 2020 edition. Ramis died in 2014. The young Reitman is a two-time Academy Award nominee for Best Director, receiving the honor for the 2007 film Juno and 2009’s Up in the Air. His father will produce the new Sony Pictures edition. “It will be a passing of the torch both inside and out,” he told EW. An all-female version of Ghostbusters was released in 2016 from director Paul Feig. It starred Kristen Wiig, Melissa McCarthy, Kate McKinnon and Leslie Jones. The theme song from the original, performed by Ray Parker, Jr., was #1 for three weeks in August 1984.